Ah, the perks of the politiko life! 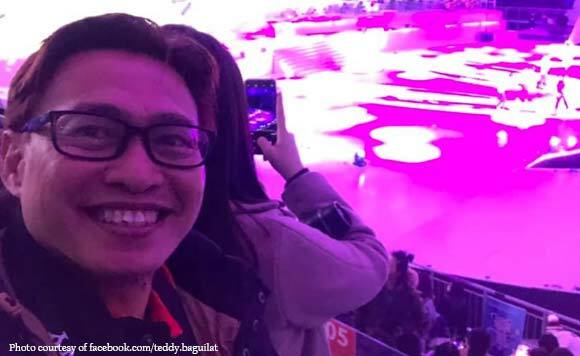 Ifugao Representative Teddy Baguilat Jr. got the chance to watch some of South Korea’s hottest bands for free on Monday, February 11. The politiko said in a tweet that the organizers of the peace conference he is attending decided to treat them out to a concert there. “When in Korea, go K-POP. Never in my wildest dreams. Organizers of the peace conference I’m in gave us a taste of millennial Korea,” said Baguilat. “Scream, dance and get entertained!” he added. Magiging K-pop fan ka na, Cong. Teddy!